The Orthodox Monastery of the Archangel Michael was established in Sydney, Australia, in 1995 by Hieromonks Kosmas and Justin. The monastery is under the jurisdiction of the Russian Orthodox Church Outside of Russia, of which the ruling hierarch is His Eminence Metropolitan Hilarion. The brotherhood consists of three monks, two of them priestmonks. Due to both a lack of space and, primarily, a desire for solitude, the monastery is closed to the public. In addition to the talk series, the monastery has also produced several new publications, the most popular being The Kursk-Root Icon: A Miracle in Our Times, published in 2008. This 224-page colour publication is the first comprehensive book on the Kursk-Root Icon ever produced in English. Hieromonk Kosmas was born of Greek parents in Sydney in 1958. He graduated from Sydney Teachers’ College in 1980 with a diploma in high school mathematics and an additional certification in teaching adolescent slow learners. He taught in a number of high schools for ten years until 1990. During this period he also privately tutored a considerable number of students in elementary and high school mathematics. 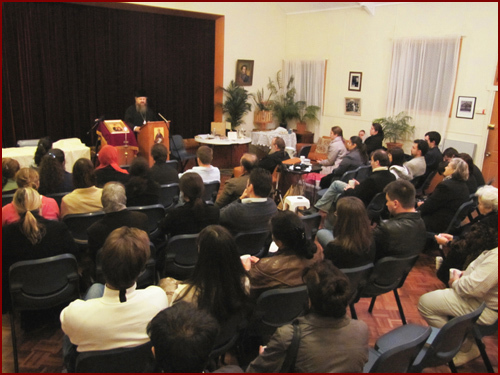 In 1987, while still a layman, Father Kosmas began presenting Orthodox talks in English, especially in Melbourne. 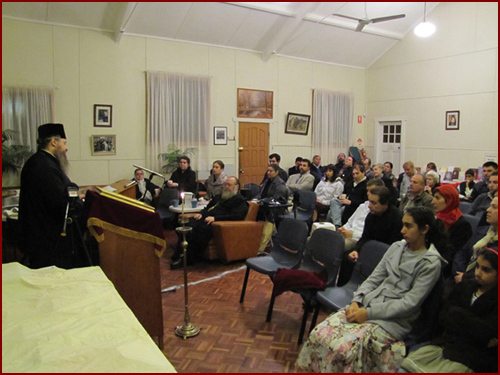 These talks were well attended, especially by the youth, many of whom were drawn back to their Orthodox roots. All of these talks were recorded and made available on audio cassette and video, and were distributed primarily free of charge. In addition, again as a layman, Father Kosmas taught church-organised “Orthodox scripture classes” on a volunteer basis at a number of public schools. At one of these schools he taught four groups of one hundred students aged twelve to sixteen – four hundred students in total. In 1991 he was tonsured and ordained a priestmonk in Serbia by His Grace Bishop Artemios, a spiritual child of Saint Justin (Popovic). He was named after Saint Kosmas of Aetolia Equal-to-the-Apostles whose feast is celebrated on 24 August. Soon after his ordination he returned to Sydney and served in various parishes, ministering especially to the young adult community. Apart from his desire to preach the word of God, Father Kosmas had another desire: to produce printed Orthodox materials in the English language. This desire was realised in 1993, when the production of publications in English commenced. Approximately fifty booklets were produced on the lives of the saints and various other topics. 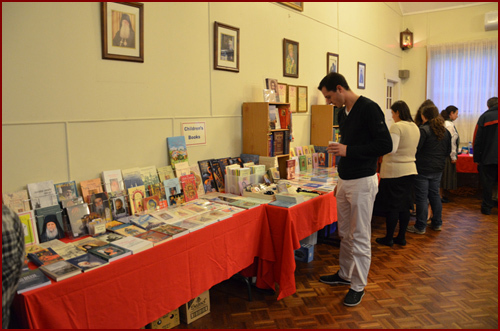 Initially, these publications were distributed free of charge to the majority of parishes in the ROCOR Diocese of Australia and New Zealand. Because of their considerable popularity these publications were later offered for sale, especially in the U.S. and Canada. Since 1997, Father Kosmas has been a very strong supporter of homeschooling. He continually encourages parents to homeschool their children instead of sending them to schools where immorality and unbelief are a norm. Using his skills and knowledge as a teacher, he helps and supports parents who seek his aid in homeschooling their children. Holy Dormition Sisterhood (HDS) in St. Marys, Sydney. Although originally intended to become a monastic community, the sisterhood found its calling as a lay sisterhood, and gradually took upon itself the publishing work initiated by Father Kosmas. 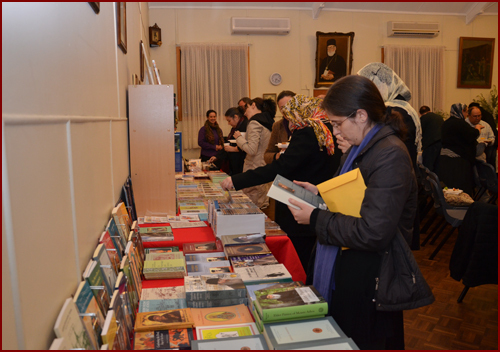 To this day, Father Kosmas continues to guide and support the sisterhood in their publishing and missionary activities. 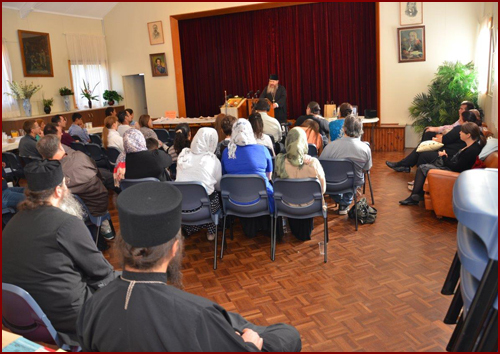 Since 2007, with the blessing and support of the metropolitan, Father Kosmas has been presenting regular talks every 6–8 weeks, at Saint George Russian Orthodox Church in Carlton, Sydney. These talks are recorded and are available for purchase on CD at a number of monasteries and parishes, especially in North America. In June of 2013, with the blessing of Metropolitan Hilarion, this website was established in order to offer these talks for purchase as MP3 downloads, as well. Five years later, on July 30, 2018, it was decided to make these downloads available free of charge. On January 4, 2019, the entire series of talks was published on YouTube. The talks in English by Hieromonk Kosmas aim to present the teachings of the Orthodox Church as they relate to our daily spiritual struggles, in a manner that is both simple to understand and practical to apply. His approach is conversational and direct, simple and sincere, pious and humble. One can sense the responsibility he feels to avoid introducing his own ideas while presenting the views of the Church. I hope that these talks, given with love for the benefit of Orthodox Christians, will provide support and encouragement to the many who are struggling to lead a pious Orthodox life in today’s materialistic world, and that they will see that Christ’s commandments are as applicable today as they were in the first centuries of Christianity. I was delighted to learn of the long-awaited downloads of the Orthodox Christian talks by Hieromonk Kosmas of Australia. Father Kosmas offers an approach that is often talked about in Orthodox Christian parishes, but too rarely seen: a practical guide to everyday life, applying the spiritual experience of Christ's saints. Touching on the countless ways in which we might live a shallow (and false) Christian life, Father Kosmas' words place his listeners in front of a kind of spiritual mirror, forcing each of us to confront our own self-deception, in the light of Christian Truth. With his guidance, one cannot help to experience a real change of perspective. Without doubt, the topics on which Father Kosmas' talks touch are a treasury of Christian formation that is much needed in our confusing times. They are well worth the cost, whether in download or CD format, and considering the millions of dollars spent annually on pop culture drivel, they are an investment in the good of the human soul. As one who spends much time in the car, the spiritual words of Father Kosmas have become for me a welcome and familiar voice, taking me away from the noise and chatter of the secular world, recapturing what might otherwise be lost moments in transit. As my daughter says, Father Kosmas has become my best friend, through the car stereo. It's my hope that he can become the best friend to thousands of others who are seeking Truth. The lectures of Fr. Kosmas are a God-send to us poor, embattled Christians of these last times! They are accessible without being shallow, learned without being patronizing, and traditional without being reactionary. They enlighten the mind while enlivening the soul! In short, in this is their great value: the attentive listener is freed from the shackles of ignorance and misinformation and initiated into Eternal Wisdom Who is Christ our Lord. The ultimate aim of every Orthodox guide and catechist is that their disciple have the mind of Christ. Now that these lectures are on-line, Orthodox Christians everywhere can more easily access the path to this end!